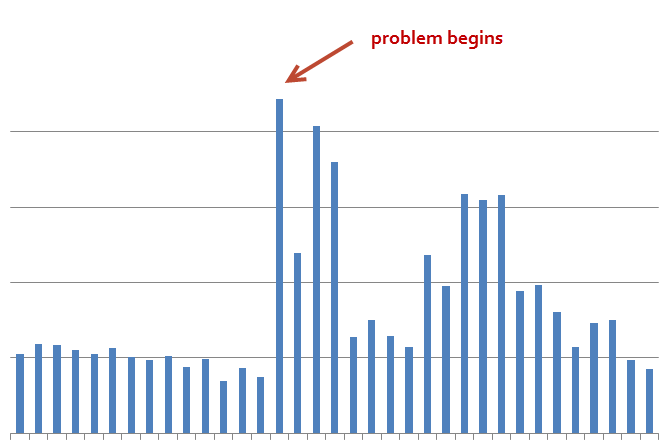 About 10 years or so ago we noticed that our software was being downloaded multiple times each time a customer logged into the download the software. They are on unique short lifetime URLs so they can’t be kept as a permanent URL. Why would a customer download more than once? Investigating showed that they weren’t – the other downloads were typically from addresses in Japan. What we think was happening is that there are trojans installed on many users machines and these watch for any user of a web browser downloading software. The trojan then sends the download URL to the control centre (which is in Japan in our case) and the Japanese server then downloads it. It’s like a giant software hoover which downloads any software it can get it’s hands on. I suspect you are on the receiving end of something like this. We put some logic on our website to deny these software hoover downloads. If you look at the log above it is download the same file from the same IP almost exactly once an hour. It is very regular. I don’t think your explanation accounts for that. We had a simliar thing happen on a couple of our BoS Conference videos that ended up getting watched a couple of hundred thousand times each over the course of a week. Cost us extra hosting but it stopped suddenly too. Seems a totally pointless exercise though. I wonder if it is a cover for something else? It’s a Chinese attempt to damage western companies by increasing their hosting charges. That’s why they do it in short, sharp bursts so that you don’t bother to fix it. I’ve seen this sort of behavior on and off for a couple years. Currently, like you, my problem IP is China Mobile. Like you, I block ’em. Sometimes, in the past, I’ve seen similar behavior from all other the world, even Europe and North America, but in those cases often the traffic is in bursts, then changes IP and follows a similar pattern, leading me to believe the users at those IPs had a trojan that was doing the downloading. 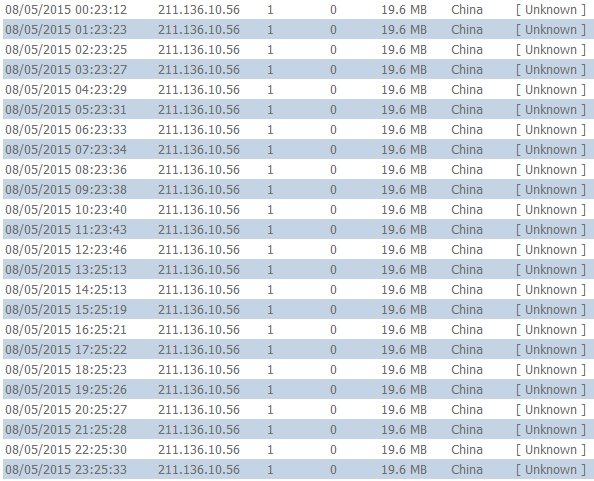 When the IP changes, it’s impossible to block (whack-a-mole), but the Chinese ones usually use the same IP for a while. I’ve always puzzled what the purpose is. I’ve assumed runaway ‘bots, but your idea about masking other activity sounds plausible. Let us know if you find out more. That sounds like the most plausible explanation so far. It also fits with “Never attribute to malice that which can be attributed to incompetence”. Indeed, it’s probably (mis)configuration on their part. Our registrar, for example, allows a maximum of six hours for DNS TTLs. Looks like your question is answered but if you’re really-really curious, you might want to follow up with the owner of the IP address. I emailed abuse@chinamobile.com a few days ago. No response. It can be a sort of Denial of Service attack, just put load on the server.